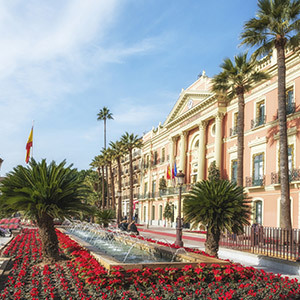 Murcia is not only about its semi-arid climate and the city dares to bloom with delicacy in many corners. Roses, carnations, and magnolia trees of the Florida blanca garden invite the residents of Barrio del Carmen to sit on one of the benches in the garden, and escape the noise of cars and motorcycles driving along the surrounding streets for a while. And after crossing the Puente Viejo over the Segura river you can turn left to take a walk around the Paseo del Malecón and get lost in their consecutive gardens, such as the Malecón garden, the Botanic Garden, the Huerto del los Cipreses or the Cura garden. After this tour, how could we not buy flowers to take home and put in a corner with a little greenery? The region's climate has made people seek to cultivate flowers in Murcia in very different styles, especially foreign flowers that are well adapted to the dry climate and do not require much water. 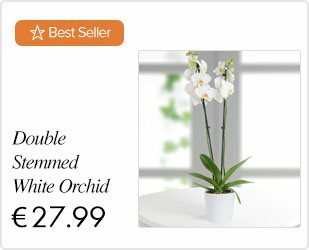 The ornamental trend in Murcia has expanded its range of colors and flower shapes and is becoming more popular to send more varied and exotic flowers through an online delivery service. You can choose the perfect bouquet within the selection of floral arrangements offered by Lolaflora depending on the occasion or the person you want to honor. 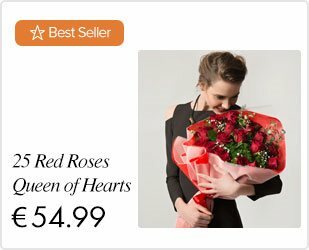 Additionally, buying flowers through our portal is very simple, you choose your preferred arrangement, and we will get in touch with one of the best florists in Murcia and manage the delivery. We assure you that the flower delivery in Murcia reaches every corner, always on time and with the custom message you want to add to your order. If you want to send flowers to Murcia, Madrid, Valencia, Barcelona or all across Spain, you are in the right place!